Named because of the four excellent flushes it produces in a year. 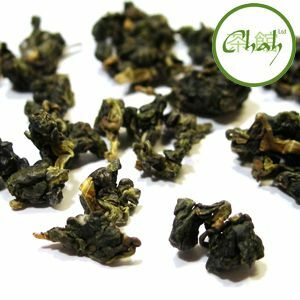 This tea is grown at over 450m above sea level and is known by its fresh flowery aroma, and is a light, smooth oolong liquor with sweet and fruity notes. Brew: 1 tsp per cup; near boiling water; 2 minutes for first brew and then add 30 seconds for each subsequent infusion. Produces best brew on the third infusion. Great for morning or afternoon.